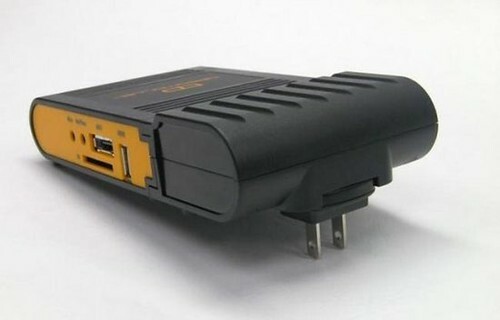 DreamPlug PC is a new devices from Globalscale Technologies – well-known producer of GuruPlug and SheevaPlug. It has 1.2GHz Marvell Sheeva ARM processor, 512MB of DDR-2-800MHz RAM, 1GB of microSD storage for system files, two gigabit ethernet ports, two USB 2.0 ports, an eSATA 2.0 port, SD card slot, Wi-Fi b/g, Bluetooth and a headphone jack. It’s ready for Debian or Ubuntu installation as well as for other Linux distribution. The DreamPlug PC can be a good base for home server (you can use Amahi, for example) or smarthome controller (mini distribution of LinuxMCE). It’s compact, energy-efficient but has enough power for serious applications. Also device has a good price – just $150.